Social media has revolutionized the access and exchange of information in healthcare. The microblogging platform Twitter has been used by blood and marrow transplant physicians over the last several years with increasing enthusiasm. We review the adoption of Twitter in the transplant community and its implications on clinical care, education, and research. Twitter allows instantaneous access to the latest research publications, developments at national and international meetings, networking with colleagues, participation in advocacy, and promoting available clinical trials. Additionally, Twitter serves as a gateway for resources dedicated to education and support for patients undergoing transplantation. 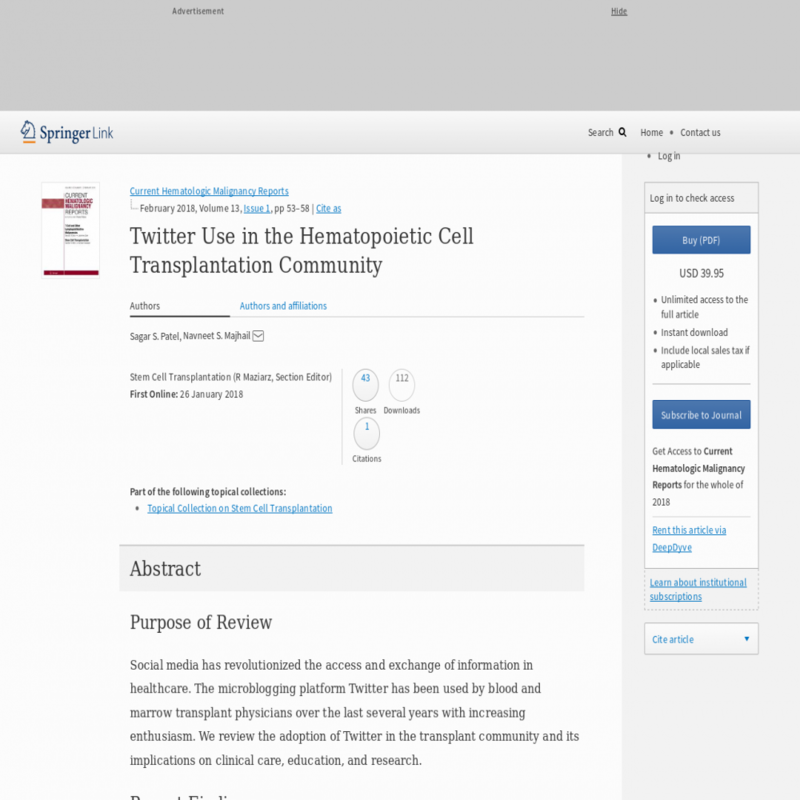 We demonstrate the utilization and various applications in using Twitter among hematopoietic cell transplant healthcare professionals, patients, and other affiliated stakeholders. Professionalism concerns with clinician use of such social media platforms, however, also exist. Overall, Twitter has enhanced and increased the opportunities for engagement in the transplant community.